The CBC series and are the leading nominees for this year’s Canadian Screen Awards. 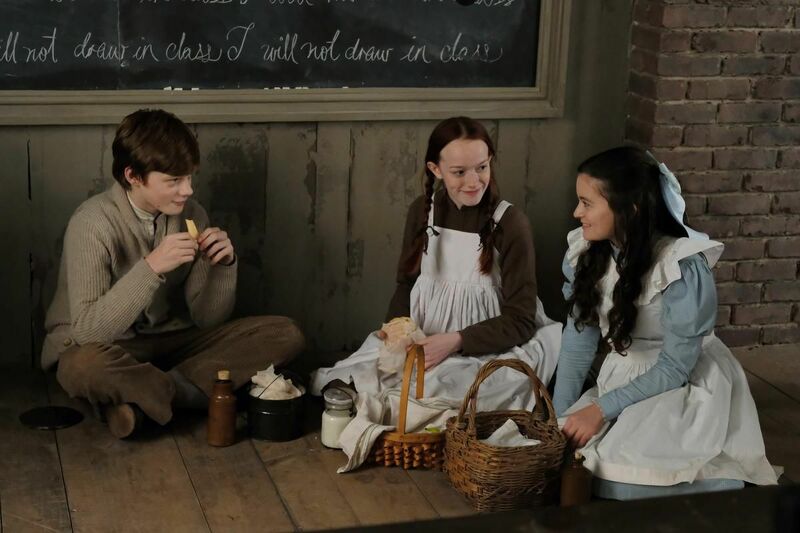 is up for trophies including best drama series and best actress for Amybeth McNulty, who stars as the young Prince Edward Island heroine from Lucy Maud Montgomery’s classic novel. ’s nominations include best comedy series and acting nods for the main stars, who play a riches-to-rags family — Eugene Levy, Daniel Levy, Catherine O’Hara and Annie Murphy. Both and also stream on Netflix and have been gaining international buzz. On the film side, the leading contenders are from Quebec: Maxime Giroux’s allegorical drama and Daniel Roby’s disaster thriller with eight nominations apiece. Both are contenders in categories including best picture and best director. Giroux’s film is about a draft dodger from Quebec who takes refuge in the American West. follows a couple trying to save their daughter from a toxic gas cloud in Paris. Also in the running for best picture are the post-apocalyptic directed by Freddie Hutton-Mills, coming-of-age drama from Geneviève Dulude-De Celles, and Sophie Dupuis’ Montreal crime story . The other best drama series contenders announced Thursday are City’s OMNI’s , CBC’s and History’s . The CBC says its popular show , which won best comedy series at last year’s awards and is also on Netflix, was not eligible to be nominated this year as its broadcast slot moved from fall to winter. Other major nominees this year include season 2 of CTV’s crime drama , titled “Blackfly Season,” which has 14 nods including best limited series or program. has 13 nominations, while Global’s end-of-life drama and CBC’s parenting comedy have nine nods each. Toronto actor Stephan James — who has skyrocketed to fame with starring roles in the Oscar-nominated film and the Amazon Prime Video series — will get the inaugural Radius Award, which goes to a Canadian making waves globally.